gdsCAD is a simple, but powerful, Python package for creating, reading, and manipulating GDSII layout files. It’s suitable for scripting and interactive use. It excels particularly in generating designs with multiple incrementally adjusted objects. 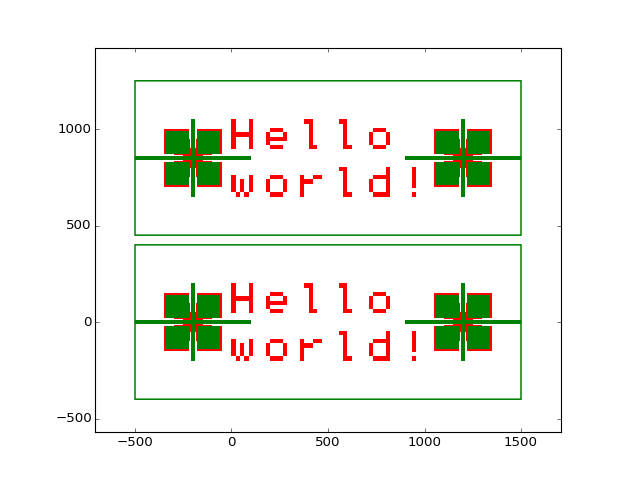 gdsCAD uses matplotlib to visualize everything from individual geometry primitives to the entire layout. Start by getting a working version of Python. Unzip the package and run python setup.py install from the command line. Start Python and type import gdsCAD. If you don’t recieve any import warnings then you’re ready to go. Once you have gdsCAD installed, start by reading the User’s Guide and reviewing the Examples. More advanced use will benefit from referring to the The gdsCAD API. gdsCAD is free software: you can redistribute it and/or modify it under the terms of the GNU General Public License as published by the Free Software Foundation, either version 3 of the License, or (at your option) any later version. © Copyright 2013, Andrew G. Mark. Created using Sphinx 1.2.3.